Apple is a world-renowned technology innovator, incorporated in 1976 by Steve Jobs. Following the 3Ds of technology, the company designs, develops and distributes inventive new technologies and has introduced the world to esteemed products such as the iPod, iPhone and MacBook, and the MacOS operating system. Apple’s portfolio comprises of digital music players, smartphones, tablets, smart watches, video devices and more. A technology trendsetter, the company was named by Forbes as the largest tech company, ahead of Microsoft and Google. Who is the man behind Apple? It’s impossible to talk about Apple without recognising the giant behind the brand – Steve Jobs. Alongside the other Steve (Wozniak) and Ronald Wayne, they developed the first Apple Computer, incorporating the product on April 1 1976 and creating the Apple Computer Company. Despite being ousted from the company in 1985, in 1997 Jobs returned to his role as CEO of the company, bringing it to the forefront of the world’s technology race. Under Jobs, the company went from innovation to innovation and saw the introduction of today’s technology stables with products such as iTunes, the iPod and the iPhone. What is the modern history of Apple? The change from Apple Computers Inc. to Apple Inc. marked the move from computing technology to consumer electronics. Opening their Keynote with “The first 30 years were just the beginning. Welcome to 2007.” Apple paved the way for the introduction of the iPhone and Apple TV. Since its original conception, the iPhone has undergone several updates including increasing screen size, memory, the introduction of fingerprint technology and facial recognition software. Today, it is one of the most sought-after smartphones. Additionally, Apple has pioneered one of the world’s thinnest laptops – the MacBook Air. Marketing the product as thin enough to fit in a manila envelope, the MacBook Air has revolutionised the world of portable computing. What are the latest innovations in the company? Many speculators doubted the future of the company following the death of Jobs in 2011. However, with CEO Tim Cook at the helm, the company has continued to develop and grow. Former Chief Operating Officer Cook has spearheaded Apple’s latest inventions, such as the Apple AirPods, the latest iPhones including iPhone X’s facial recognition technology and the Apple Watch. Today, Apple employs over 116,000 people across its worldwide sites. Apple products are sold through its online shop and 498 stores worldwide, spanning a total of 22 countries. In addition to their headquarters in Cupertino, California, USA, the company also has two so-called ‘campuses’ in Sunnyvale, California and Austin, Texas. Their European headquarters are based in Cork, Ireland, where they employ around 6,000 people. Additionally, they have major world headquarters in London, UK and Herzliya, Israel. Apple's shares are traded on the NASDAQ stock exchange. 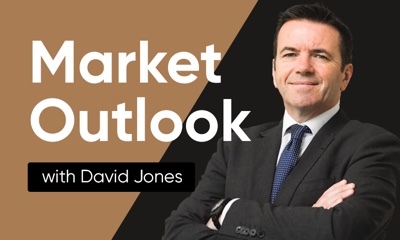 The company is a member of three top market indices: NASDAQ-100, the DJIA and S&P 500. Why is Apple Inc important to traders? 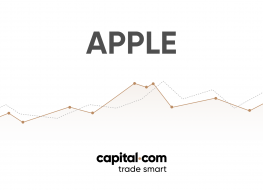 Trade Apple CFDs, other major shares, indices, forex, commodities and cryptocurrencies through Capital.com’s award-winning platform. No commission. FCA and CySEC regulated. Up to 1:200 leverage (professionals only). Available on web and mobile. AI technology.